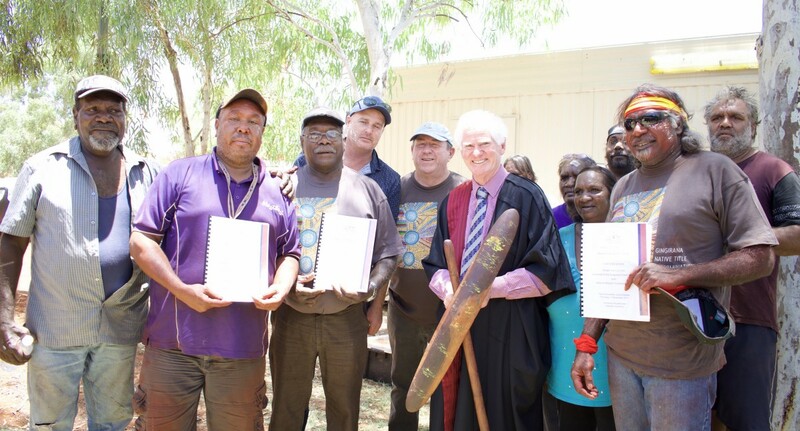 The Wiluna and Tarlpa native title claims were largely determined with the consent of the parties on 29 July 2013. 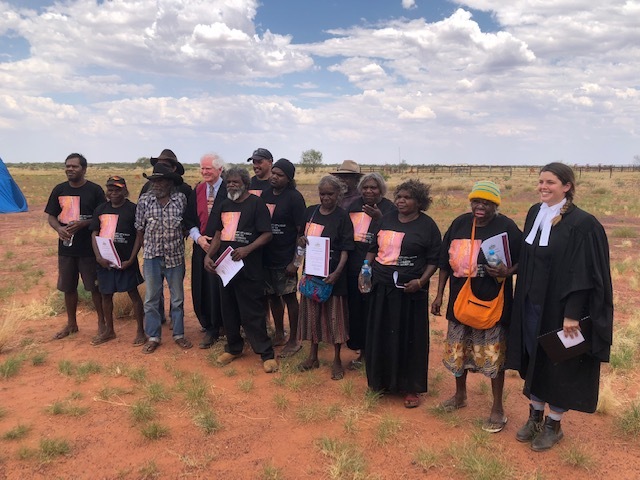 The Federal Court held a hearing at Puwanu rockhole, a location within the determination area where Justice McKerracher determined the exclusive and non-exclusive native title rights and interests of the Wiluna people over the respective Wiluna and Tarlpa claim areas. 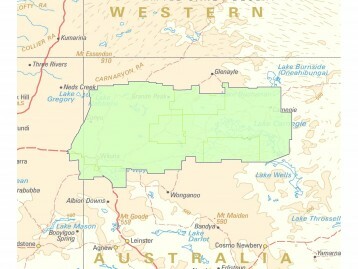 An area omitted from the Wiluna and Tarlpa determinations was the area of the Wiluna #2 native title claim which consists of two parcels of unallocated Crown land and was filed by the Wiluna people to allow for any historical extinguishment of native title rights and interests to be disregarded. This area was omitted while a question of law relating to that area was decided. 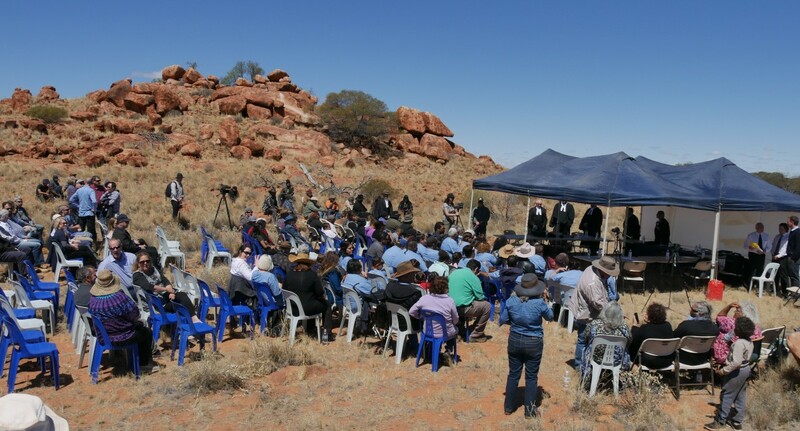 Following a successful outcome on the question of law on 15 July 2013, the Wiluna #2 application was determined by the Federal Court on 3 September 2013 in Perth. 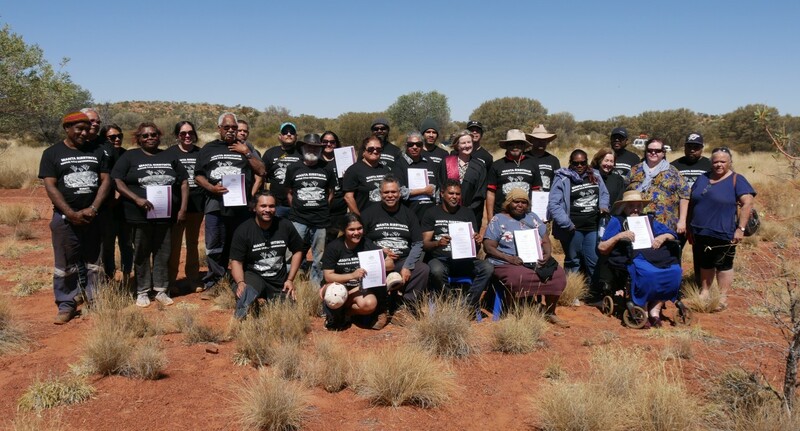 The native title holders in the successful Wiluna Applications and the Tarlpa Application chose Tarlka Matuwa Piarku (Aboriginal Corporation) RNTBC (TMPAC) as their prescribed body corporate. TMPAC was registered on 21 November 2014 and determined as the prescribed body corporate on 8 December 2014. Applicant Names: Barry Abbott, Judy Ashwin, Alan Ashwin, KF (deceased), WF (deceased), FJ (deceased), JM (deceased), BP (deceased), Kitty Richards, Dusty Stevens, Norman Thompson, LT (deceased), Joyce Tullock and MT (deceased). the right to have access to, maintain and protect places, and areas and objects of importance on or in the determination area. The determination of native title recognises that the native title holders have the right of possession, occupation, use and enjoyment of parts of the determination area as against the whole world (see maps in Schedule 7 of the Determination of Native Title). NT rights and interests recognised: The determination of native title recognises that the native title holders have the right of possession, occupation, use and enjoyment of the determination areas as against the whole world. The right of possession, occupation, use and enjoyment to the exclusion of all others, except in relation to flowing and subterranean water. Nominated Prescribed Body Corporate: Tarlka Matuwa Piarku (Aboriginal Corporation) RNTBC holds the native title rights and interests. 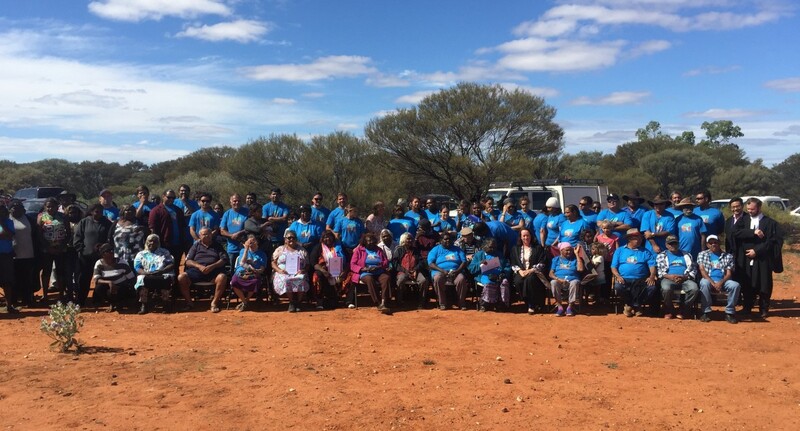 As of 25 June 2015, Central Desert Native Title Services Limited, no longer provides services to Tarlka Matuwa Piarku (Aboriginal Corporation) in relation to corporate governance, land access, future acts and heritage. 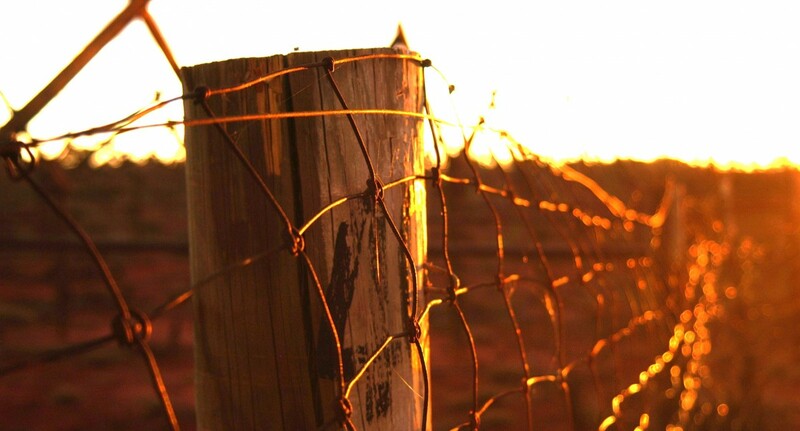 Central Desert does not service the Wiluna / Tarlpa determination area. 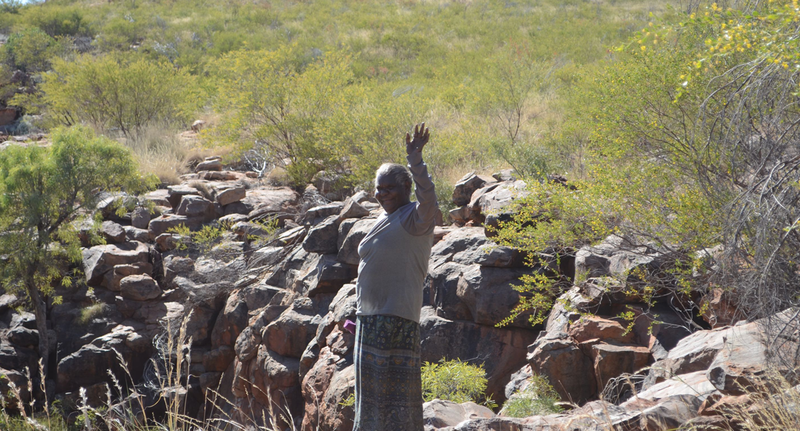 Please contact the Tarlka Matuwa Piarku (Aboriginal Corporation) , through the PBC Contact details listed above for any queries in relation to Land Access within the Wiluna/Tarlpa determination area.